Tasty Bingo looks and feels every bit as tasty as the title suggests. Their games are as fun packed as the site promises and the pots and ticket prices really are tasty. OK enough use of the word tasty! Tasty Bingo have tried very hard to make the Bingo experience fun, and it’s packed full of simple enjoyable games that have one purpose, pleasure. When Tasty Bingo first launched, we all thought it was just going to be a poor relation to the other already establish Casava partnerships, but they have evolved into their own Bingo entity that holds its own. Tasty might not be the definitive gaming experience, but what you’ll find here is Bingo at the heart of everything, which surprisingly is not always the case in a Bingo site. Plus, it’s home to the best online Bingo game ever. The £2 Mill Thrill is by far the best-worst game ever invented. It’s a rolling jackpot game that could leave you holding £2,000,000. Tension, excitement and sheer frustration all in one game and it’s absolutely brilliant. We recommend you test run this monster. 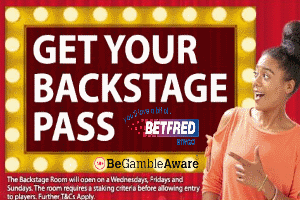 There are other spectacular prizes and promotions too, but the £2 Mill Thrill is the biggest. 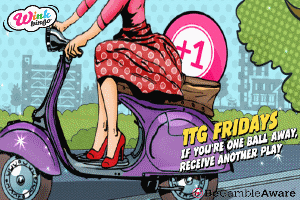 The Tasty Bingo community is a very active one with plenty of involvement and real time play. The community adds an upper level of activity to an already active site and is well worth getting involved with. Is it perfect? No, but it’s the closest thing to perfect we’ve found. Would we recommend? 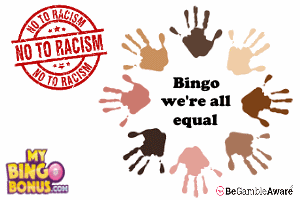 YES, brilliant Bingo games, atmosphere and community. This really is one of the best sites that we have tested. Tasty Bingo packs a punch way greater than it’s size should. Good starter Bonus, great games and a brilliant Bingo community. Oh and that awesome £2 Mill Thrill. New players only. Deposit £10, get 200% bingo bonus + £10 bingo bonus (up to £210 bonus).To withdraw winnings connected with bingo bonus funds wager 2 times the deposit used to redeem bingo bonus funds + bonus funds. Withdrawal restrictions and Full T&C’s apply. There is no such thing as a free supper, and at Tasty you need to know what you are accepting when you take your bonus funds. Likewise, you need to know what and when you can withdraw your winnings. Full details will be in their Terms & Condition’s on the bottom of the homepage. Maximum withdrawal amount: No withdrawal limitations. Progressive pots reviewed individually. Time to cash-out: 2 – 5 working days.